The Martian Chronicles – Chapter Eight – The Settlers (August 2001/2032) - Jimmie Aaron Kepler, Ed.D. In chapter eight,”The Settlers”, Spender returns to the rest of the expedition. He carries a gun and shoots six of his crew-mates, saying he is the last Martian. Captain Wilder approaches under a white flag and has a short discussion with Spender during which the archaeologist explains that if he manages to kill off the expedition it may delay human colonization of the planet for a few more years, possibly long enough that the expected nuclear war on Earth will protect Mars from human colonization completely. Although he opposes Spender’s methods, Captain Wilder somewhat agrees with his attitude towards colonization and wishes for him a humane death. He returns to the others and joins them as they pursue Spender, and Wilder shoots Spender in the chest during the fight before he has the opportunity to be killed by anyone else. The captain later knocks out the teeth of Parkhill, another expedition member, when he disrespectfully damages some Martian glass structures while “target practicing.” Many of the characters of the Fourth Expedition — Parkhill, Captain Wilder, and Hathaway — re-appear in later stories. 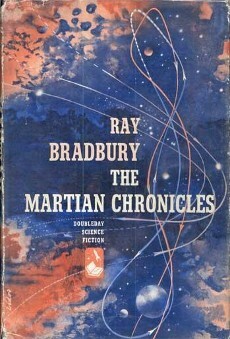 This is also the first story that displays a central theme of The Martian Chronicles. It acts as a commentary on the Western frontier of the United States and its colonization, using the colonization of Mars as the analogy. Like Spender, Bradbury’s message is that some types of colonization are right and others are wrong. Trying to recreate Earth is viewed as wrong, but an approach that respects the fallen civilization that is being replaced is right. In the previously mentioned version, this short story describes the first settlers coming to Mars, the Lonely Ones, the ones that came to start over on the planet. It first appeared in The Martian Chronicles.